Are you sick of serving food mixed with artificial flavors, food additives and chemicals to your dog? Have you ever thought about purchasing eco-friendly and healthy dog food? Not everyone has time to cook for their dog or the money to buy fresh meat for them every day. But fortunately, there are quite a few online shops out there that specialize in eco-friendly pet products including organic dog and cat food. Asides from organic pet food, many websites offer other interesting organic and eco-friendly products. BrandsbyNature is a UK online store that offers eco-friendly dog and cat food, eco-friendly dog toys and eco-friendly pet bowls, amongst other things. Their Yarrah Organic Dog Food is a certified organic dog food that complies with the EU Regulations for Organic Products. The dog food contains healthy substances such as spirulina & seaweed, chicory, aloe vera and omega 3&6. There is a vegetarian range of dog food products which are certified by “the Vegetarian Society”, the “European Vegetarian Union” and the Vegan Society. Furthermore none of the Yarrah Organic Dog Food products have been tested on animals. You can find more information about Yarrah products and also stores where to buy them directly at http://www.yarrah.com. 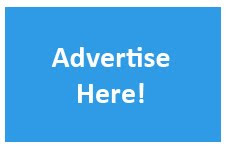 OnlyNaturalPet offers a wide range of products in the area of pet food, supplements, treats, flea & tick products, cleaning products and toys amongst other things. The pet food includes dried, canned, dehydrated, grain-free, gluten-free, organic and vegetarian food as well as food for senior animals. During the production of the organic dog food herbicides, pesticides or artificial fertilizers were not used and no chemical additives or preservatives were added. More than 70% of the ingredients used are organic. Another interesting product on this website is the BioBag Pet/Dog Waste Bag which is a compostable plastic pooper bag. Instead of using plastic bags to pick up your dog’s poop, this biodegradable waste bag is the new solution for environmentally concerned dog owners. 3) YourOrganicPet offers organic organ meat treats which provide your pet with a variety of different nutrients and are antibiotic, GM and hormone free. You will also find some interesting grooming products such as the Organic Coconut & Paw Paw 2 in 1 Shampoo & Conditioner that doesn’t contain artificial colors, harsh detergents, petrochemicals, phosphates or other dangerous chemicals. Check out the website for more interesting organic pet products! 4) Greennest. A product that will definitely interest those who are allergic against pets but don’t want to miss out on having one is the Pet Machine, which contains a filter that captures any allergens and odors from pets as well as dust and dander. Another top hit is the organic pet bed which is made from organic cotton and natural rubber. 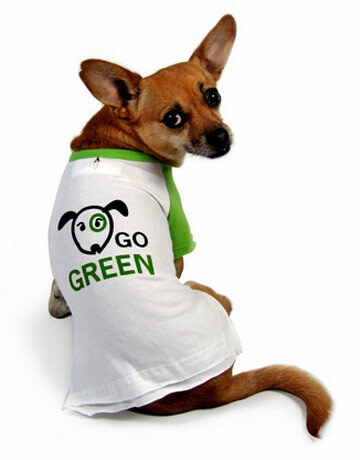 5) A huge collection of websites with eco-friendly pet supplies is provided by TheEcoMarket. You can find a variety of different eco-friendly pet products including toys, collars and leashes, dog beds, kitty litter, bowls and much more. as its time saving. Everyone always wants to do online shopping for saving time & money. Nice, good list of places to buy online pet supplies. Thanks for sharing! Very good post about Pet Supply. I like the above thought and I am glad to be the part of it.Thanks to earthblog2020 for sharing it!! This was really great, one of a kind post. 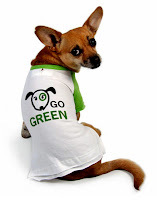 What will be the process for shipping of "online eco-friendly stores for pet"? Thanks, I’m really happy to see this interesting blog to read. I learned always new information from your blog I like your way to write, you explain the topic, you are doing a great job. we are Sell pets online if you are looking for any Dogs for sale near me website so pls visit us.